Last November in Eighth Circuit Ruling Deepens Circuit Split on Class Action Fairness Act Circumvention Tactic, we discussed the latest in a series of federal appeals court decisions involving plaintiffs’ lawyers’ efforts to keep their class action lawsuits in state court despite CAFA (the Class Action Fairness Act). In Atwell v. Boston Scientific, the Eighth Circuit rejected an attempt to strategically break large numbers of plaintiffs with identical claims into groups less than 100 with the unstated goal of consolidation for trial. The court specifically departed from an approach taken by another federal appeals court, the Ninth Circuit, which endorsed that tactic and allowed a class action to remain in state court. We noted at the end of that November post that the defendants in that Ninth Circuit case, Romo v. Teva, had filed a motion with the court for a rehearing en banc. Washington Legal Foundation supported that request with an amicus brief. Yesterday, the Ninth Circuit issued an order granting the Romo defendants’ request, and vacating the three-judge panel’s ruling. The en banc panel will hear oral arguments on the case June 16. 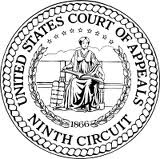 In the meantime, plaintiffs can no longer cite to the Ninth Circuit’s September 2013 decision as precedent for their CAFA circumvention tactics, leaving the Eighth’s Circuit’s Atwell ruling as the most recent appellate statement on the matter. Read WLF’s press release on the Ninth Circuit’s order here.